Stokes & Kopitsky, P.A., recognized Atlanta truck/tractor-trailer accident attorneys, has recovered over $75 million in verdicts and settlements for victims injured in car, truck or tractor-trailer accidents in Atlanta and other areas of Georgia. Our client testimonials and case results show that working with our law firm is a positive and beneficial experience. 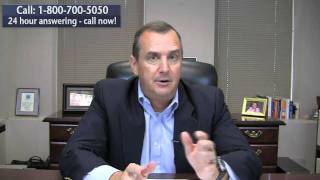 Who is liable in commercial truck accidents? Large transportation trucks are also called tractor trailers, big rigs, semis, and 18-wheelers. A trailer is a “large transport conveyance designed to be pulled by a truck or tractor”. Companies that employ trucks to transport goods within or across state lines are often known as “commercial motor carriers”. The size and impact of the vehicles they employ cause some of the most devastating accidents on the road. In 2010, over 500,000 large trucks and commercial vehicles were involved in accidents, injuring over 100,000 people in the United States. Over 5,000 people died in these collisions, up from 3,200 in 2009. The fatalities will continue to rise as the number of trucks and tractor-trailers are expected to increase by 20% in 2012. Georgia and federal law regulate the motor truck industry and the carriers who lease trucks for their business operations. In the past, carriers employed “fly by night” truckers as independent contractors, resulting in all culpable parties—carriers, lessors, owners, drivers, and insurers—shirking responsibility for motor accidents. Now, state and federal regulations make carriers “vicariously liable” as a matter of law for the negligent conduct of the vehicle’s owners/operators and drivers. The Motor Carrier Act and Interstate Commerce Carrier Act require motor carriers to have surety bonds or insurance policies “sufficient to pay any final judgment recovered” against them for bodily injuries or death resulting from the “negligent operation, maintenance, or use” of the motor vehicle. A commercial carrier is also subject to state statutory provisions set forth in the Official Code of Georgia Annotated (OCGA). OCGA §46-7-3 requires motor carriers to maintain a bond, with adequate security, “for the protection of the public against injuries proximately caused by the negligence of the carrier, its servants, or agents.” The mandatory insurance policy protects those who may have a cause of action for damages where carriers or their statutory employees were negligent. Thus, federal and state laws provide a framework of liability for commercial motor carriers and the people they employ. Carriers can no longer shift financial responsibility to “independent” drivers, owners, or operators who were negligent on the job. Accidents involving trucks or tractor-trailers are messy. They result in carnage and serious injuries only complicated by the multiple parties and insurance policies involved. Research shows that when there is a collision involving a truck and car, much more damage occurs to the car. If the truck driver is injured, the car driver will most likely suffer from more severe injuries, or they may die. The negligent parties are often reluctant to admit liability much less cooperate with each other to allocate financial responsibility for the accident. Victims and family members should not have to shoulder the burden alone. A 2013 study published in the International Journal of Injury Control and Safety Promotion reports that while trucks account for just 8% of highway traffic, they are involved in a staggering 11% of all fatal vehicle collisions in the country. Speed: A factor the study found to be a significant contributor in severe crashes is speed. The risk of a fatal collision is doubled when speeds are over 45mph. Tractor trailers: Another significant factor is tractor trailers, which have bigger blind spots, longer brake times, and require wider turns. Driver fatigue: It’s no secret that truck drivers are on the road for hours at a time, traveling long distances under the pressure to reach a destination by a specific time. In some cases, truck drivers may use illegal stimulants to keep themselves awake, which could impair their judgement. Rollovers: Trucks have a high center of gravity. Coupled with unstable or unsecured loads, this can dramatically increase the risk of rollovers when traveling on a curve or turning corners. Commercial delivery trucks – like those that are used for UPS, FedEx, and USPS – may generally be smaller than tractor trailers, but they’re still usually larger than regular cars and are frequently involved in minor to fatal crashes. It is true that some accidents may be unforeseeable. However, in most cases we have discovered this to be rare. Based on our experience in providing legal expertise to victims of delivery truck accidents, we have found that negligence and carelessness are contributing factors. It may have been overriding factors in your unfortunate accident as well, and we can help you prove it to get you the compensation you deserve. Remember: If you were involved in an accident with a truck, there is a good chance that the driver will be represented by their employer’s attorney, and they will not care about your situation. As a result, it is imperative that you are represented by a lawyer who has extensive experience in dealing with similar cases and will only have your best interests in mind. At Stokes & Kopitsky, P.A., we have over thirty years of experience recovering compensation for victims injured in truck or tractor-trailer accidents in and outside Georgia. We understand that untangling the mess of negligent parties and insurance policies is not a one-man job. Our experienced Atlanta truck and tractor-trailer accident attorneys are here to explain the various claims you might have against liable carriers and their negligent employees. We are tough negotiators dedicated to providing you with the highest quality legal representation. If you or someone you know was injured in an accident involving a truck or tractor-trailer, call Stokes & Kopitsky, P.A. at 404-892-0011 for a free consultation or fill out our online Contact Us form.